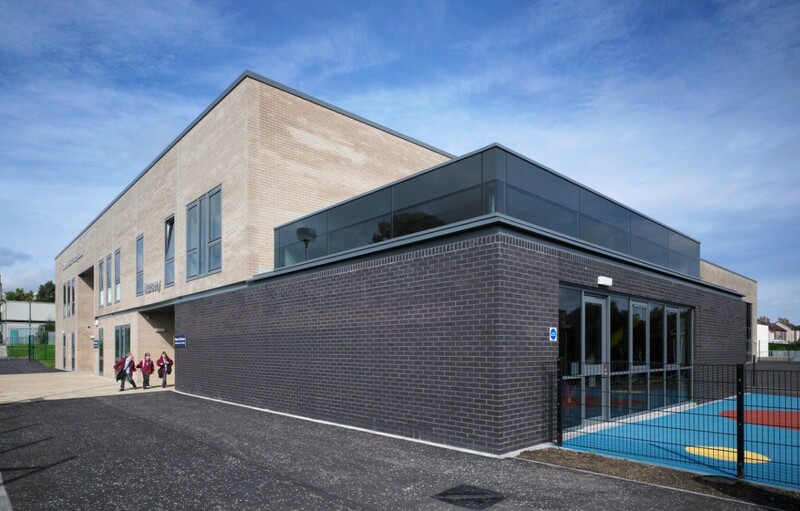 Carluke Integrated Community Facility and St Athanasius Primary School co-locate in a purpose built 5,000m2 shared facility with a strong civic presence in recognition of its importance at the heart of the local Carluke community. 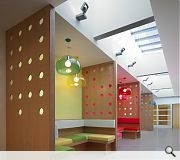 Design concept considers the juxtaposition of three simple building elements represented in different materials and colours with moments of interest in plan and elevation interplaying at the junctions. This is best emphasised in the black box nursery which has been pulled out from the two storey classroom box along a track with a pull up floating glass box over. • 8 classroom primary school accommodating 264 pupils. • 40/40 pupil early year nursery. 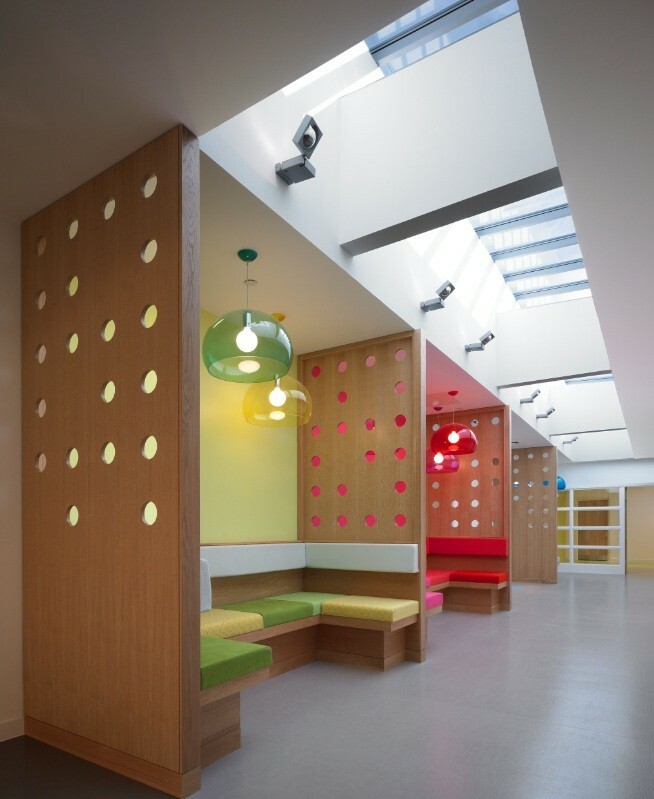 Holmes designed and delivered the entire building with assistance from HAA Design, who under a separate commission by South Lanarkshire Council Social Work contributed to the specialist interior design and fit-out of the community social works aspects.